Fibromyalgia (FMS) is a chronic, painful disorder often associated with measurable deficiencies in attention. 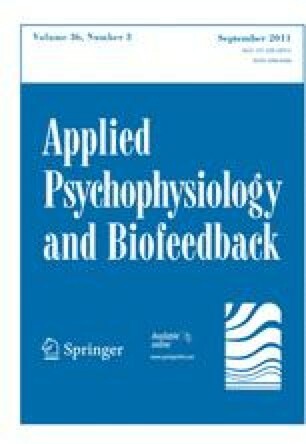 Since EEG biofeedback (EEG-BF) has been used successfully to treat attention problems, we reasoned that this modality might be helpful in the treatment of attention problems in FMS. We also speculated that improvement in central nervous system (CNS) function might be accompanied by improvement in FMS somatic symptoms. We studied fifteen FMS patients with attention problems, demonstrated by visual and auditory continuous performance testing (CPT), while completing 40 or more EEG-BF sessions. Training consisted of a “SMR protocol” that augmented 12–15 Hz brainwaves (sensory motor rhythm; SMR), while simultaneously inhibiting 4–7 Hz brainwaves (theta) and 22–30 Hz brainwaves (high beta). Serial measurements of pain, fatigue, psychological distress, morning stiffness, and tenderness were also obtained. Sixty-three FMS patients who received standard medical care, but who did not receive EEG-BF, served as controls. Visual, but not auditory, attention improved significantly (P < 0.008). EEG-BF treated subjects also showed improvement in tenderness, pain and fatigue. Somatic symptoms did not change significantly in controls. Visual attention parameters and certain somatic features of FMS appear to improve with an EEG-BF SMR protocol. EEG-BF training in FMS deserves further study.